An Antique Silver Plated Food Warming Dish.early 1900.s by a.beardshaw & co.
0192*haddock has no other items for sale. Details about An Antique Silver Plated Butter Dish/toast Rack.william marples & sons. 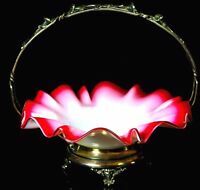 A Very Elegant Antique Silver Plated/glass Butter Dish By D&sg. A Beautiful Vintage Silver Plated/ Glass Wine Bottle Coaster.elegant patterns. A Very Elegant Vintage Silver Plated 3 Bottle Preserve Dish Set with stand. 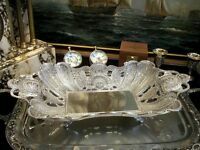 Silver Plated Fruit Bowl Centerpiece Ornate Gondola Vintage Antique Gift 14"
Silver Plated Fruit Bowl Centerpiece Filigree Vintage Antique Classy Gift 10"